The shattering conclusion to the Year of the Gods! In this final volume of Year Four, the balance of power may be tipped by the arrival of a force that could challenge even the Gods of Olympus. Also, Wonder Woman must make a stand, and the final fate of Ares is revealed. 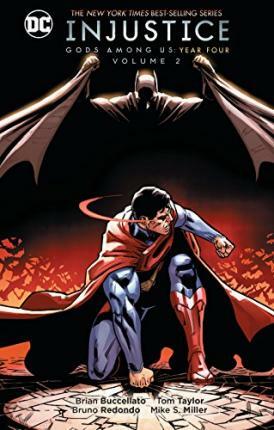 The newest chapter of the INJUSTICE saga is here, as writer Brian Buccellato further explores that take place before the events of the hit video game phenomenon. Collects INJUSTICE GODS AMONG US YEAR FOUR #6-12.